Healthy Inside ~ Fresh Outside..!! : Looking gorgeous and getting ready in under 10 minutes! Looking gorgeous and getting ready in under 10 minutes! If you hate taking a shower, toweling off, lotioning up, and then waiting a while for your moisturizer to sink in, throw an in-shower moisturizer into your mix. After lathering up with your usual body cleanser, apply a hydrating formula Moisture In-Shower Body Lotionfrom your neck down. The warmth and humidity of the shower opens up your pores, allowing the moisturizing ingredients (hi, shea butter) to be absorbed into your skin, so that after you rinse and towel off, your skin remains super soft. Genius, right? 2. Wrap your hair in a microfiber towel post-shower. "Gather your hair into a microfiber towel, wrap it on top of your head, and allow it to soak up any excess water while you apply your skincare regimen. The microfiber fabric absorbs water through osmosis, wicking it away. 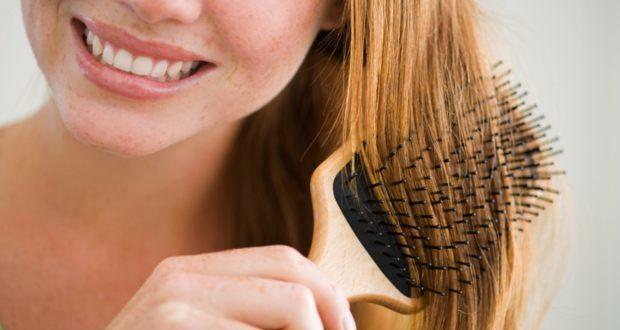 And since 80 percent of your blow-drying time is used removing the water from your hair, this simple step will cut your drying time in half and get you out the door quicker." 3. Choose one multitasking hair product and apply it with a vent brush to evenly distribute it. "Applying several products to your hair takes time, So to speed up your routine, use one styling product that does multiple things, and then apply it using a vent brush for even application. Once you've brushed the product into your hair, rinse off your brush and continue styling as you normally would. 4. 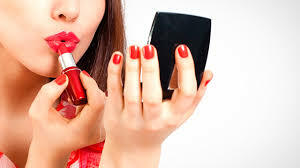 Skip a full face of makeup and just apply red lipstick. "If you're really squeezed for time, apply some red lipstick, You'll look like you spent an hour doing your 'makeup' when you spent only two minutes." 5. 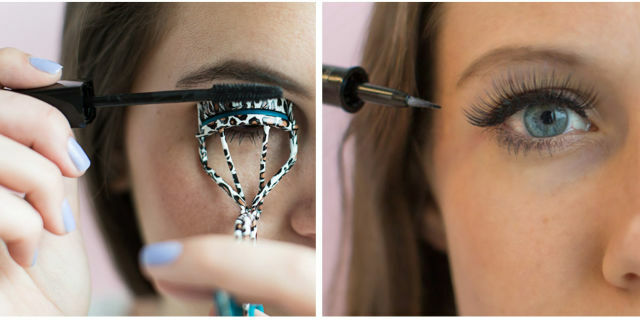 Curl your eyelashes, apply some mascara, and go! Curling your eyelashes seems like an unnecessary step, but it can actually be the only preparation your eyes need to look polished. Doing so not only makes your eyes look more open and awake, but after you apply mascara onto your lashes and trace the inner upper rim of your eye with black liner, your fringe will appear fuller — like you're wearing falsies. At that point, you can skip eye shadow and go!. 6. Revive curly hair with a shine spray. 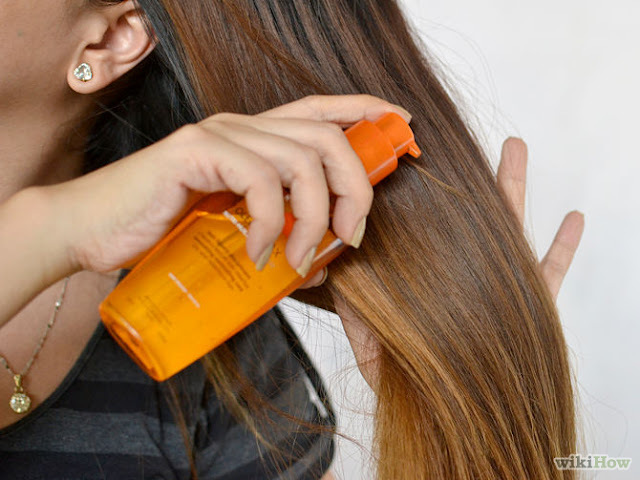 If you have curly hair or second-day waves that you want to revive, what I often reach for on set in a pinch is an aerosol shine spray, The challenge curly-haired girls have is that their curls absorb the light, making them appear dull. So what the aerosol shine spray does is fills any empty pockets in the curls with its lightweight, tiny molecules that then help reflect the light, making the curls look defined and beautiful. 7. 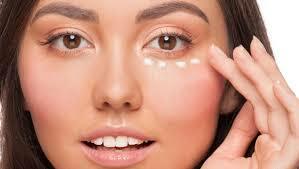 Opt for all cream cosmetics and use your fingers to apply them. By using your fingers to apply your makeup, you eliminate the time it takes to find the right brush, apply your makeup perfectly using each tool, and then washing them after to avoid bacteria build-up. 8.Having a bad hair day? 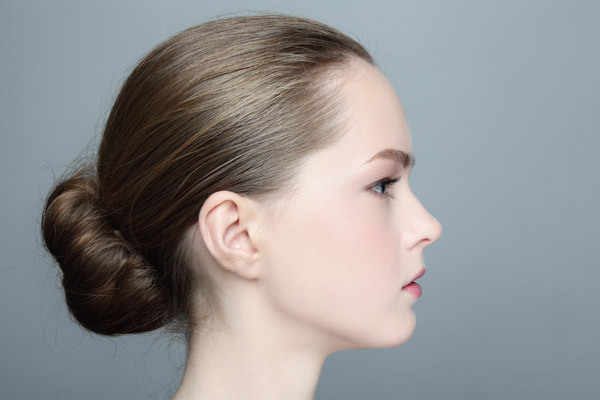 Throw it into a polished, yet undone chignon. 9. 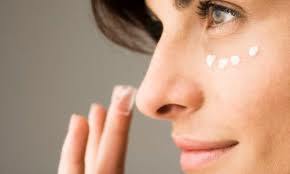 Skip highlighter around your eyes and just use concealer. 10. 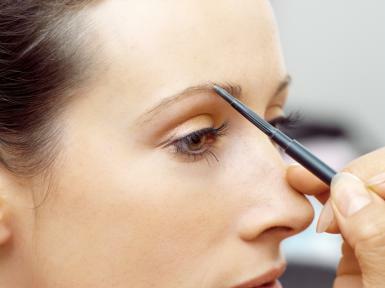 Get stand-out brows without messing with powders and pencils. Mixing pencils and powders to fill in sparse spots within your eyebrows can be time-consuming, Instead, use a colored brow mascara. It saves a ton of time because all you have to do is swipe the bristle brush over the tiny hairs and your brows will immediately look fuller. Just make sure to wipe down the brush a bit, so you don't apply too much of the formula onto your brows. You want them to look enhanced, not unnatural.